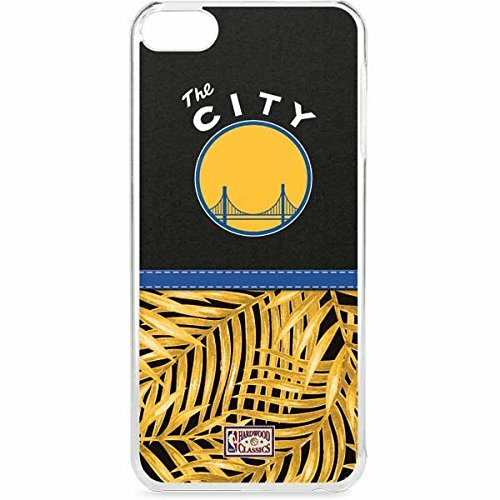 The NBA Golden State Warriors iPod Touch 6th Gen Lenu Case featuring Golden State Warriors Retro Palms design is the perfect phone case for someone that wants a simple yet refined Golden State Warriors case style. Each Golden State Warriors Lenu Case for your iPod Touch 6th Gen is officially licensed by NBA for genuine brand designs. The Lenu iPod Touch 6th Gen case is finished with a premium Golden State Warriors vinyl decal cut & crafted by Skinit to personalize your case with the look you want. The Lenu phone case consists of a single piece, protective snap case, keeping your iPod Touch 6th Gen feeling slim and sleek while defending it from scratches, dirt and daily use. For those who appreciate superior style without the bulk of other phone cases - the Lenu Apple iPod Touch 6th Gen Golden State Warriors Case is the one for you. Make It Yours today. View More In MP3 Player Accessories.